In 1999, UNESCO declared the 21st March as World Poetry Day to promote worldwide poetry, human creativity and linguistic diversity. The UK’s Poetry Book Society is proud to represent such a wide range of world class poets from across the globe through their PBS Selections, including US based poets Amish Trivedi, Kaveh Akbar, Ocean Vuong, Canadian Anne Michaels, Hong Kong-born Mary Jean Chan and Kit Fan, Trinidadian Vahni Capildeo and Puer­to Ri­can Loretta Collins Klobah, Welsh-Gujarati poet Tishani Doshi, Romanian Ana Blandiana, Albanian Luljeta Lleshanaku, Austrian Evelyn Schlag and Chinese exiled poet Yang Lian. Check out their World Poetry Day Blog for a whistle stop tour of world poetry, starting with My Voice: A Decade of Poems from the Poetry Translation Centre including 111 world poems in 23 languages from Arabic to Zapotec. Happy reading! On the life and work of W.S. Merwin, who died on March 15, 2019, at the age of 91.
and snaps, even the air is torn. is a bed turned over by cops. some old tissues. They leave the place a mess. You want to investigate silence. though it’s never hunger that wakes you. you learn to feel for the rain. From Dolefully, A Rampart Stands by Paige Ackerson-Kiely, published by Penguin Books, an imprint of Penguin Publishing Group, a division of Penguin Random House LLC. Copyright © 2019 by Paige Ackerson-Kiely. Today marks International Women’s Day, a day dedicated to the many incredible achievements of women and the ongoing work toward achieving gender equality. Today’s special poem by poet and activist, Maya Angelou, is a celebration of the power each and every woman has within herself. They stay they still can’t see. Today is the anniversary of the publication of Robert Frost’s iconic poem “Stopping by Woods on a Snowy Evening,” a fact that spurred the Literary Hub office into a long conversation about their favorite poems, the most iconic poems written in English, and which poems we should all have already read (or at least be reading next). 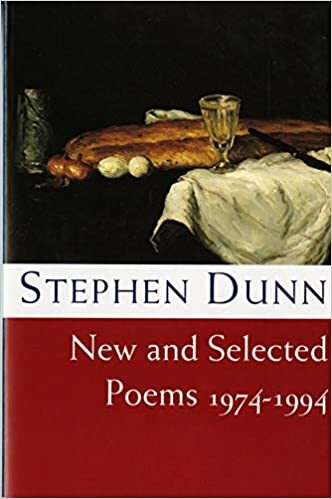 Turns out, despite frequent (false) claims that poetry is dead and/or irrelevant and/or boring, there are plenty of poems that have sunk deep into our collective consciousness as cultural icons. (What makes a poem iconic? For our purposes here, it’s primarily a matter of cultural ubiquity, though unimpeachable excellence helps any case.) So for those of you who were not present for our epic office argument, I have listed some of them here. In the five years since the Republic’s founding, leftist administrations had carried out a series of ambitious reforms aimed at transforming and modernizing Spain: legislation to increase rights for women, new agrarian laws to reduce the suffering of the landless poor, changes in the educational system to free it from the dominance of the Catholic Church, and restructuring of the armed forces to decrease the influence of the military. Such attacks on the traditional structures of Spanish society earned the reformists, as well as the Republic itself, a committed bloc of enemies, from loyal monarchists to conservative Catholics, from wealthy landowners to the Spanish fascist party, the Falange. Now these groups united under Franco and other generals. They hoped to take back Spain and return it to its former imperial greatness, which in many cases meant eliminating perceived foes, such as Lorca. Behind that shimmering waterfall, however, Lorca inhabited a fragile, shadowy inner world. As a gay man in a steadfastly homophobic society, he was never able to express his true self in all its complexity, perhaps the worst fate imaginable for someone as torrentially expressive as Lorca. His pain fueled poems of melancholy longing and stage tragedies of disastrously failed love. Yet if the country that created Lorca failed to accept him during his life, this didn’t stop him from cherishing Spain all the way down to its darkest impulses. Excerpt from The Age of Disenchantments by Aaron Shulman. Copyright 2019 by Aaron Shulman.